T&S Thai Snack is an importer of various Thailand snack food products. We import Thailand snack food products from the manufacture directly. We distribute our products to different market segments. Besides that, we are the exclusive distributor for the Squid Roll from Thailand. T&S Thai Snack can ensure highest quality at competitive prices due to we are imported our products from manufacturers directly. The squid roll is the favourite snack food by local as well as foreign consumers. The secret recipe for squid roll is unique spicy taste and crunchy texture. 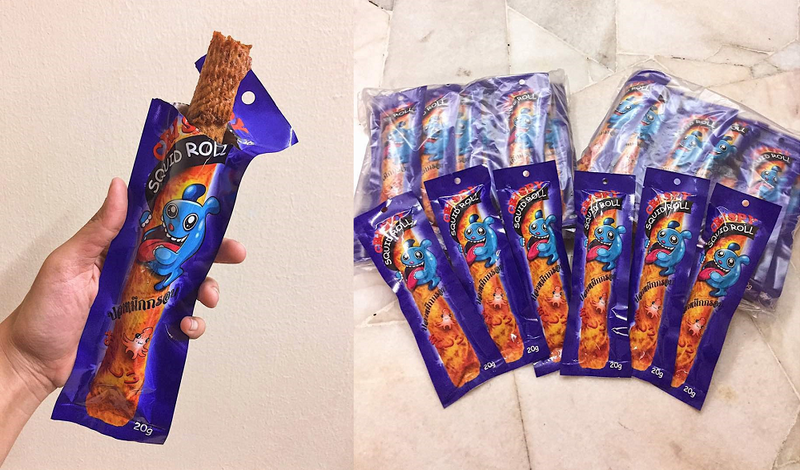 There are thousands of common snack foods out there and we strive to look for unique and tasty products that you can hardly find anywhere else in Malaysia. T&S Thai Snack has a good trade and business relationship with the Thai companies. We have gained our reputation of good quality and competitive price. Meanwhile, T&S Thai Snack is still sourcing some snack foods products from Thailand to add to our product lines from time to time. T&S Thai Snack import freshly on weekly basis from Thailand, our customers are thus able to enjoy smaller volume products and the risks of launching new products are greatly reduced for the snack food distributors. We trust we are able to produce the best products to meet your ever demanding needs. Please do not hesitate to contact us.